Artist Grace Thornton explains “The Widow's Walk” she'll be conducting during The Cryptophonic Tour. This week on “City Lights,” Atlanta artists with installations in the upcoming Cryptophonic Tour at Oakland Cemetery previewed their work. She’ll walk around the cemetery for the entirety of the May 2 sound tour, dressed in a veil and black clothing and singing mourning songs. It’s a recreation of a routine observed by hundreds of thousands of Confederate women who lost their husbands in the war. 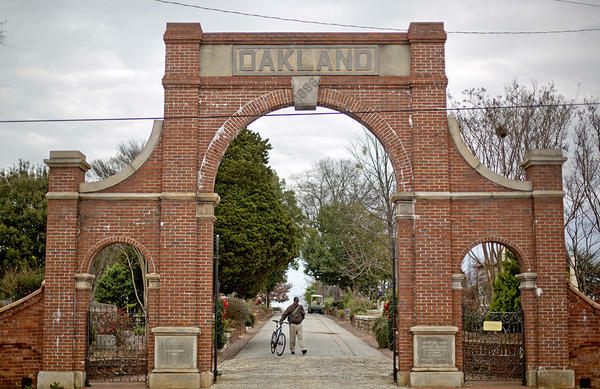 “I will be this person out of time and place … I’ll be a wandering woman,” Thornton said.Meredith Kooi talks about her tribute to the unknown buried at Oakland Cemetery. In another part of cemetery, an artist has worked to honor those buried in unmarked graves in the Potter’s Field area. Tickets for The Cryptophonic Tour can be purchased at Atlanta PlanIt.